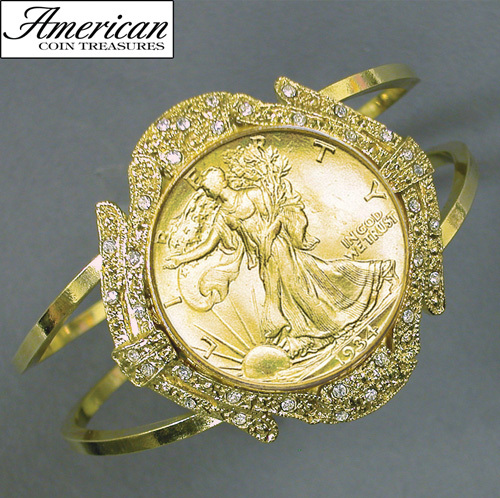 Combine class and elegance with gold, crystals, and a Silver Walking Liberty Half Dollar. A wearable piece of art and history! This goldtone cuff bracelet, adorned with crystals, holds a gold-layered, Silver Walking Liberty Half Dollar minted from 1916 to 1947. Certificate of authenticity is included.